Michal Kwiatkowski came through the line first to secure his first World Road Racing Championship jersey, and delivering all that rainbow-jersey-worthy power to the pedals was none other than Sidi's Wire Carbon shoes. This model features a Techno-3 Push retention system which allows for a non-binding fit that conforms to the upper foot for superior comfort. 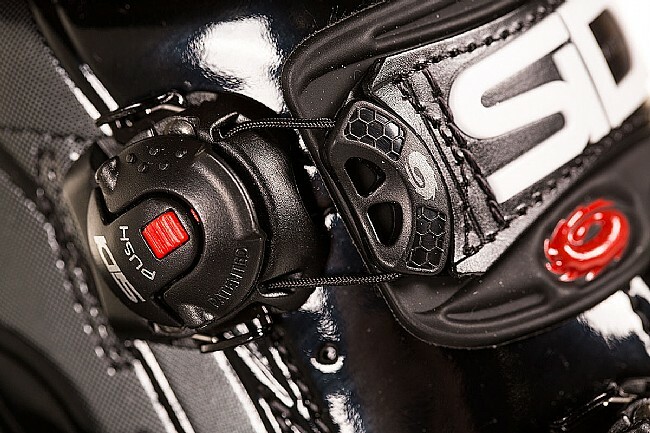 The dial adjusters lock down close to the shoe while riding but can be easily flipped up for on-the-fly adjustments thanks to Push button functionality, and Sidi's Soft Instep Closure System® is connected to the upper dial to eliminate pressure points and discomfort. 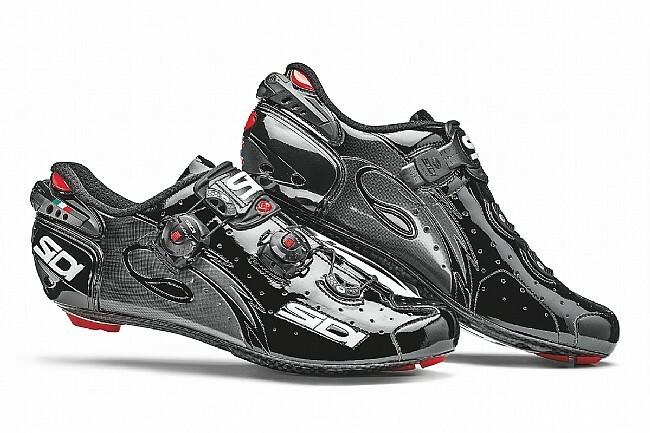 At the heart of the Wire is Sidi's updated Vent Carbon Sole®. Like the previous design, air channeling ports have been added for heat dispassion and comfort across a wide range of race conditions. But in this new sole, the vents have been made closeable, allowing riders to block out the wind on chilly rides as well. The T700 Carbon construction delivers a feathery low weight without giving up the stiffness demanded by competitive athletes. 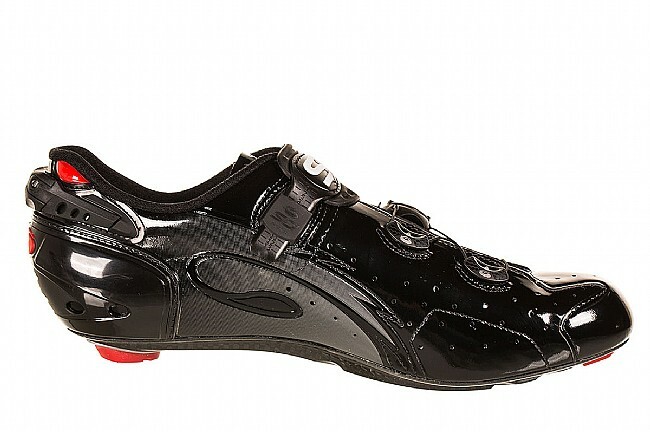 The Wire Vent Carbon Push Road Shoe is available in various colors. 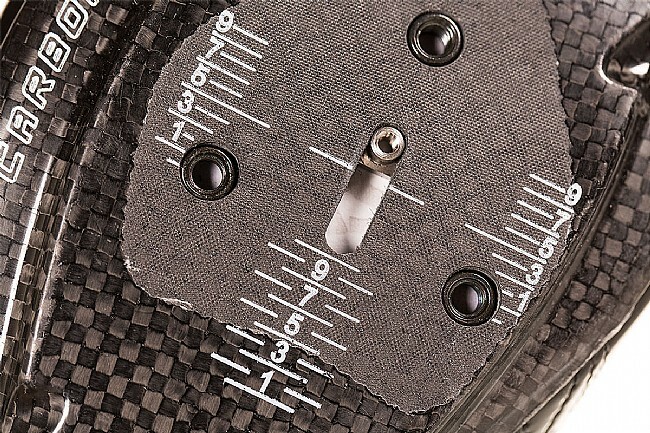 Of course virtually all of the Wire's small parts are replaceable and readily available, ensuring your shoes stay on the road, season after season. Compatible with standard three bolt road pedals. I have the equivalent in MTB shoes and so I bought these for my road bike. The BOA system is so much better than the ratchet system and can accommodate double socks on those cold winter days. My only complaint is that the left shoe needed hundreds of miles of break in before the leather tongue was soft enough to be considered comfortable. Just finished Cycle Oregon and with 4-8 hours a day pedaling my feet were the most comfortable they have ever been. The quick adjustments and light weight make them a great option. A little pricey but as much as you ride you deserve it. 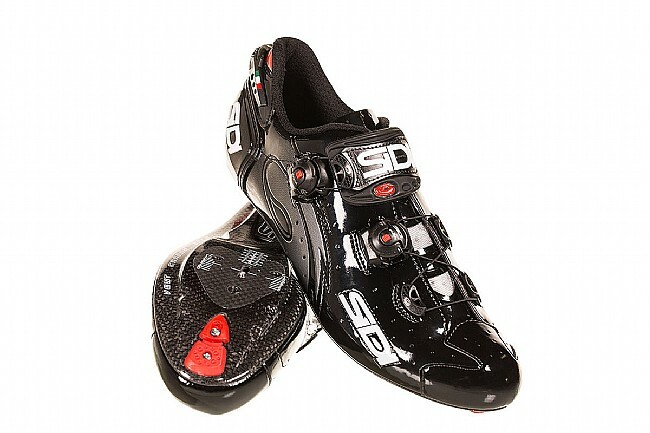 Great quality pair of Cycling shoes. Great fit and style. Too new to comment on wear and tear. I have very narrow heels. Most bike shoes are too wide in the heels, and my feet slide around in the shoe. This wastes energy and causes blisters. These shoes have an adjustable heel that I can narrow to fit. The available adjustments make these shoes very comfortable. I have very narrow heels, and the ability to adjust the heel width of the shoes so my feet don't slide around inside is great. Also the air vent (open & close) in the sole of the shoe keeps my feet cooler in the summer (open) and dry in the winter (closed).